A unique location. A unique approach. 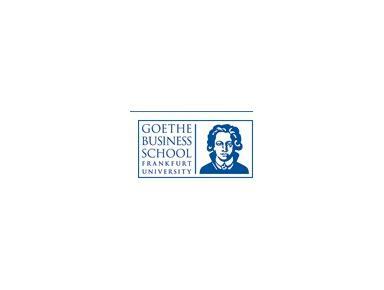 Sited in the heart of one of the world's leading financial centers, Goethe Business School (GBS) is the center for high-quality management education at Goethe University in Frankfurt. GBS's unique teaching philosophy combines world-leading research and tuition, outstanding study resources, active networking and hands-on learning. This holistic approach enables you to boost your career and develop your professional and personal skills in an environment that is at once challenging and supportive. In helping you to acquire new analytical and technical skills, we encourage you to explore and master areas of scholarship and thought that will be invaluable to you as you advance your career. Theory, practice and soft-skills development combined. Our answer to meeting the challenges of the changing face of today's business world. GBS is set up as an independent, non-profit foundation under private law, held by Goethe University Frankfurt.